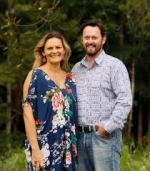 James and Kirsty Greenshields founded Resilient Leaders Foundation. It’s a non-profit organisation dedicated to helping young people and their families feel more powerful in the world. The Young Warrior Project develops confidence, emotional literacy, self-respect and teamwork. The couple’s own personal journey inspired them to decide to make a difference in the world. They teach about the power of having the courage to make a decision that really matters to you, communicating it in a way that feels powerful, and mastering balance in your life. As always, we had a lot of fun with James and Kirsty with a LOT of experience based wisdom to go along with it! Make sure to check out their website if you would like more info on the wonderful work they’re doing!